Hello fellow-bagmakers! Sara from Sew Sweetness here! I recently started sewing with cork, and I found it to be quite addictive, so I wanted to share with you a few projects and tips if you're interested in trying it out! 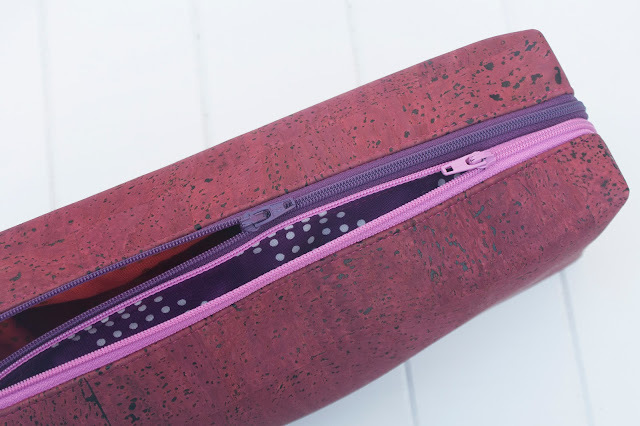 I think that cork is great for a small project, or to add accents or straps onto a bag where you are using other materials for the main fabric (quilting cotton, etc.). The natural cork that I sell in my shop is backed by a cotton/polyester fabric blend, so it is a dream to sew with. 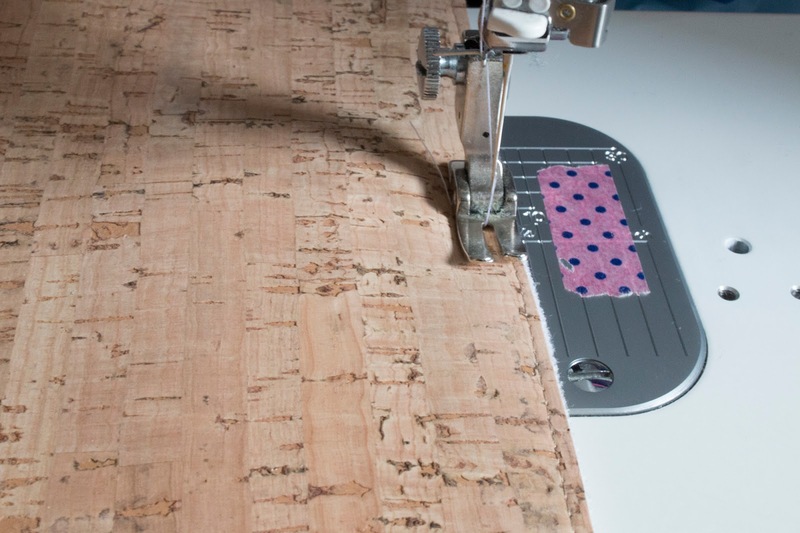 I noticed that in the winter months, I was able to sew the cork with my regular sewing machine foot, but when it started getting warmer, the sewing was made easier with use of a Teflon foot (which I use when sewing with vinyl). I used my regular 90/14 needle with no trouble, and it looks great with either 40wt or 50wt thread (increase stitch length to at least 3mm for top-stitching). 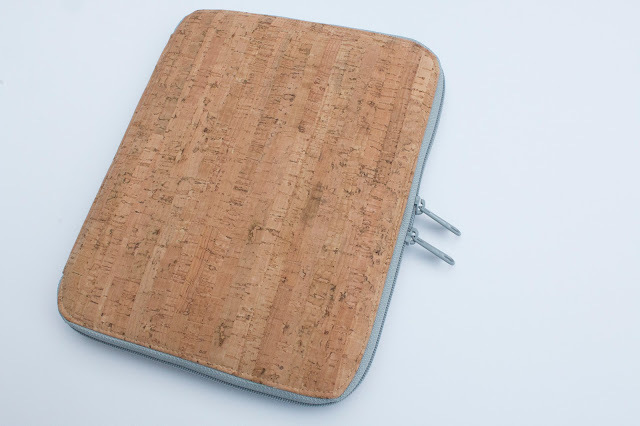 While the cork has extra body and firmness, I like it with the same foam interfacings that I would use when making a structured bag, although I invite you to play around and see what combination you like best. 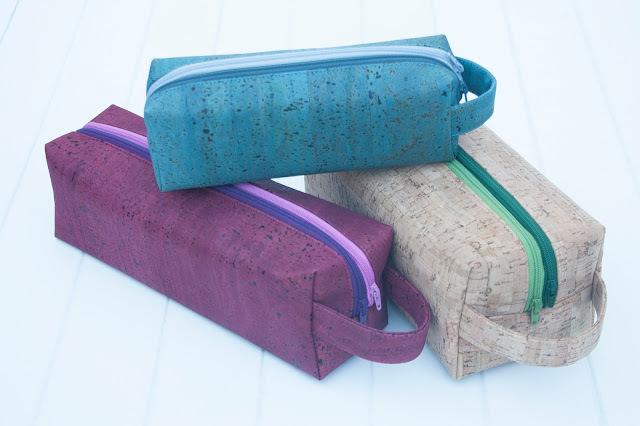 The first set of projects that I made with the cork are my Annex Double-Zip Box Pouches. At this time, I only stock the natural color of cork in my shop, but I had a small sample of this deep red color and blue, so made a full set of all 3 sizes. 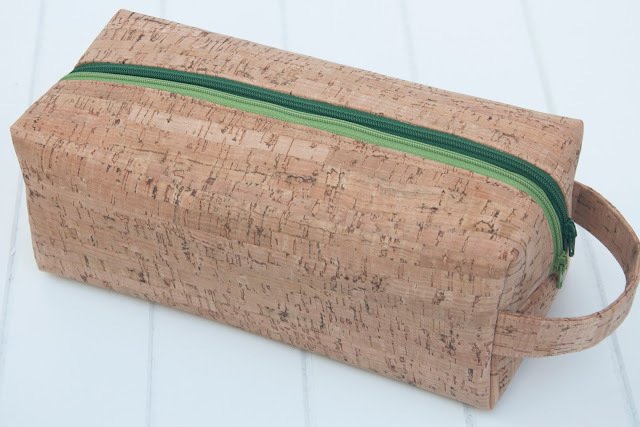 The cork does not crack while turning the pouches right side out through the opening in the lining, but I do recommend not using an iron and instead finger pressing. I finger pressed all three, and as you can see, the finger press is enough to give these pouches their boxy shape. Another project I made with the cork is this Creative Maker Supply Case that I made for my husband's birthday. He needed something to tote around his digital book reader and his tablet, so I modified the case to have zippered mesh pockets. Because I was in a hurry, I made a bunch of mistakes (on my own pattern, no less! ), so I had to rip and redo a lot of sewing here, and the cork still looks brilliant despite my mangling. 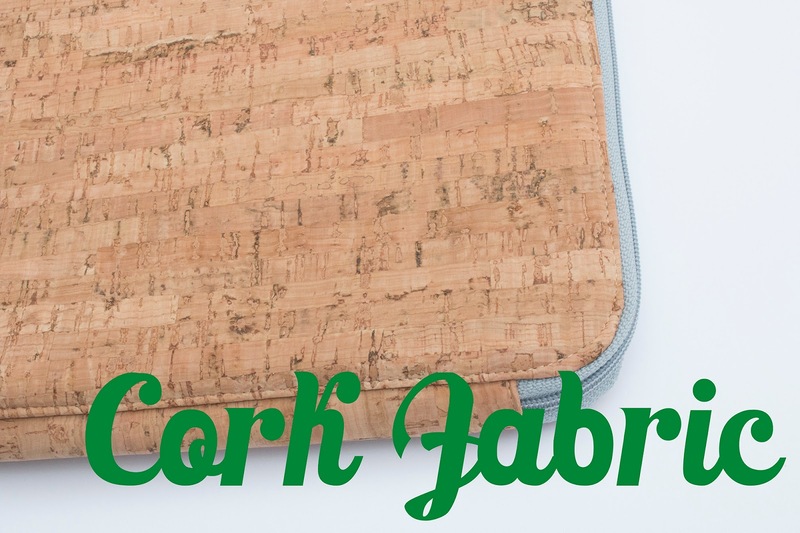 Cork is a bit of an exotic material for bag-making, but I love it because I think it gives these accessories a unisex appeal, so that's why I thought it would be a great material to use for your bag or accessory making for Father's Day. Thank you so much for having me, Samantha! Thank you so much Sara for sharing your Cork makes with us! It's a fabulous product, it is made from stripping the bark from the cork tree, and then bonding it to a woven backing. This doesn't harm the trees in any way, if anything, it helps them to flourish even more! For that reason, it's got a great reputation in the bag making world. It's also naturally water resistant, and can be dyed some beautiful colours, with some even having designs printed on! Like Sara though, I'm pretty keen on the natural cork colour, especially for sewing for men! If you'd like to find out more about the cork that Sara stocks, in the USA, then please pop over to her store. 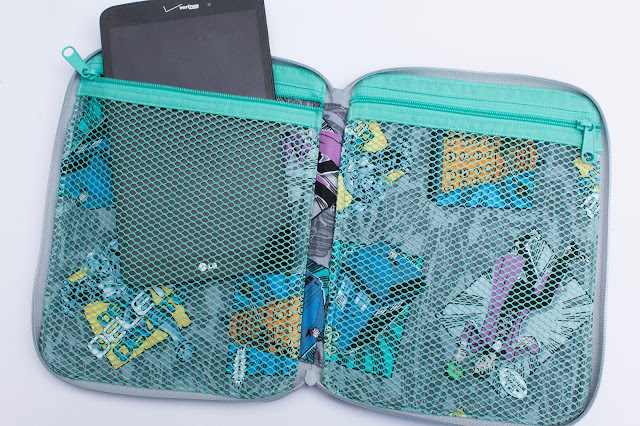 Sara Lawson from Sew Sweetness likes bags with a lot of pretty details, and tries to make her patterns accessible to all!